The Price Is Right, network television's #1-rated daytime series and the longest-running game show in television history, is headed to primetime with three reality show themed specials to air later this year. The episodes, hosted by Drew Carey, will each celebrate one of the Network's reality series: the Emmy Award-winning The Amazing Race and Survivor and the summer hit Big Brother. Each will feature special appearances by the shows' hosts Phil Keoghan, Jeff Probst and Julie Chen. In each primetime special, former racers, castaways and houseguests will partner with and play alongside super fans of their respective shows. Viewers and reality enthusiasts interested in playing for amazing prizes can go to www.oncameraaudiences.com for information on how to be an audience member and tape dates. Additional show details to be announced at a later date. 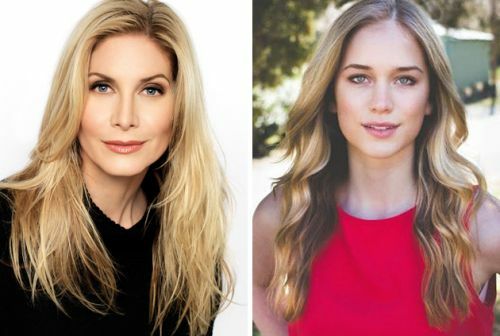 Freeform continues to pull up seats to the campfire with the additions of Elizabeth Mitchell (Lost, V) and Elizabeth Lail (Once Upon a Time) to its new original series Dead of Summer. Mitchell joins already announced cast members Zelda Williams (Teen Wolf), Mark Indelicato (Ugly Betty), Alberto Frezza (Charlie's Angels), Eli Goree (The 100), Ronen Rubinstein (Orange Is the New Black) and Paulina Singer (Gotham). Set in the late 1980s, school is out for the summer and a sun-drenched season of firsts beckons the counselors at Camp Clearwater, a seemingly idyllic Midwestern summer camp, including first loves, first kisses—and first kills. Clearwater’s dark, ancient mythology awakens, and what was supposed to be a summer of fun soon turns into one of unforgettable scares and evil at every turn. Part coming-of-age story, part supernatural horror story, Dead of Summer is a bold, new series that mixes genres as it examines the light and dark of a summer like no other. Production on the series will begin in March. The series will be produced by ABC Signature Studios and Kitsis/Horowitz. Adam Horowitz, Edward Kitsis (Lost, Once Upon a Time) and Ian Goldberg (Once Upon a Time, Criminal Minds: Suspect Behavior) will write and executive-produce the series.